Celebrating 65 years of the iconic taste and brand that brought pizza to the Dayton area in 1953, Cassano’s Pizza King is proud to roll out the red carpet for some of the finest in rock royalty – The Kings of Chaos. Join us live at Fraze Pavilion, June 21st, for one unforgettable night of celebration as we kick off the Summer with the rockin’est celebration you’ve ever seen. Few bands reach the level of superstardom. Even fewer live long enough to tell the tale. Every once in a while a breakthrough artist rises to the top and creates the soundtrack to our lives. Now imagine a band made up of nothing but these superstar artists’ and you’ll have a lineup that’s unforgettable. Kings of Chaos are an all-out all-star traveling rock n’ roll experience. 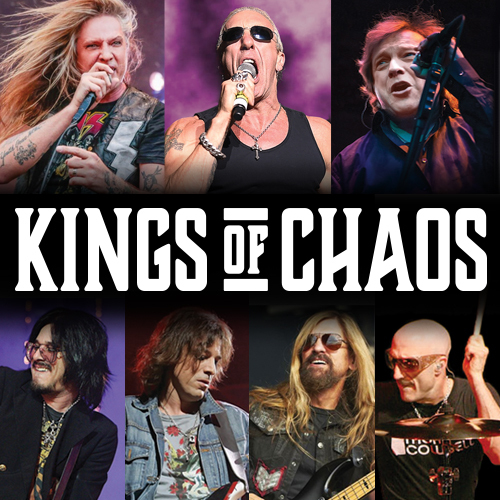 Formed in 2012 by drummer Matt Sorum (The Cult, Guns N’ Roses, Velvet Revolver) under the original name of Rock And Roll All Stars, The Kings of Chaos are a rotating roster of mega talent with members from all walks of the Rock kingdom. Members from Deep Purple, Guns N’ Roses, ZZ Top, KISS, Collective Soul, Stone Temple Pilots, Billy Idol, Aerosmith, Slipknot, Alice in Chains, Linking Park, Skid Row and Extreme just to name a few; gather together as friends to take the stage and perform their collective hits in a way you’ve never heard them before. As the original frontman for the legendary powerhouse Foreigner, Lou and company have sold more than 70 million albums worldwide and have won numerous awards. 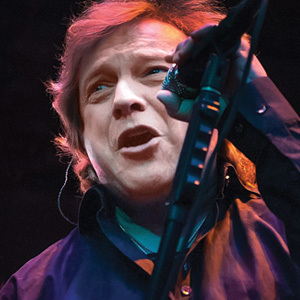 Lou’s powerfully distinct vocals are instantly recognizable on classic hits such as; “Cold as Ice,” “Hot Blooded,” “Double Vision,” “Urgent”,” “Waiting for a Girl Like You” and their 1984’s chart-topping #1 power ballad “I Want to Know What Love Is.” Beyond Foreigner, Lou launched a successful solo career during the 80’s and maintained his solo success all the way up to today both as a solo act and as a member of Kings of Chaos. 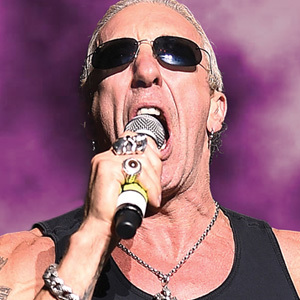 Singer-songwriter, screenwriter, radio personality, and actor, Dee Snider came into prominence in the early 1980’s as lead singer and songwriter of the heavy metal band Twisted Sister. He was ranked 83 in the Hit Parade’s Top 100 Metal Vocalists of All Time. Dee’s vocals are well known on Twisted Sister’s hit songs “I Wanna Rock,” “We’re Not Going to Take It,” and “You Can’t Stop Rock ’n’ Roll.” Snider headed up several other heavy metal bands along with a successful solo career. He continues to tour today both as a solo act and as a member of Kings of Chaos. 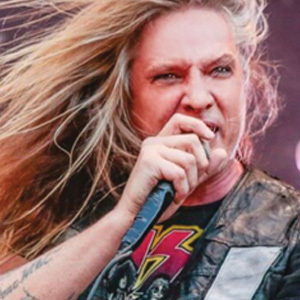 With top hits including “Youth Gone Wild,” “18 and Life,” and “I Remember You,” Sebastian Bach rose to the top of the 80’s metal scene as frontman to the wildly popular metal act Skid Row. Sebastian labels himself as a singer, songwriter and actor. Not one to sit still, Sebastian has spent his post Skid Row years performing on Broadway with notable performances in Jesus Christ Superstar, The Rocky Horror Picture Show, and Jekyll and Hyde. Sebastian has been featured in many television and feature film projects along with multiple reality television shows and is currently developing new solo material. 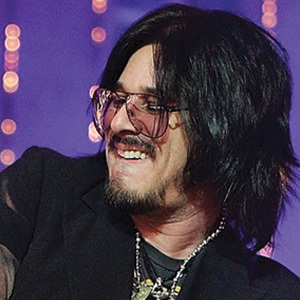 Gilby Clarke’s skyrocketed to fame as a member of Guns N’ Roses during their world wide Use Your Illusion tour. Gilby recorded with Guns on their follow up album The Spaghetti Incident. After Guns, Gilby’s chemistry with bandmate Slash was so tight that he went on to record rhythm guitars on Slash’s solo debut Slash’s Snakepit. Then went on to record his first solo album Pawnshop Guitars. In 2006 Clarke joined Motley Crue drummer, Tommy Lee and ex-Metallica bassist Jason Newstead to form Rock Star Supernova. 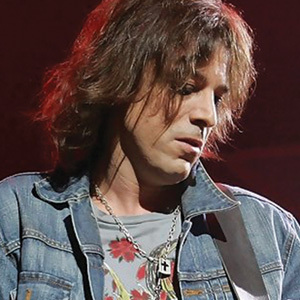 In addition to Kings of Chaos, Gilby has just wrapped production on a new solo album with its release slated for Summer ’19. VH1 labeled Warren as one of the ten most under-rated metal guitarists of the 80’s. DiMartini stamped his signature licks onto the metal scene as the lead guitarist of Ratt and wrote some of their biggest hits like “Round and Round,” “Lay It Down,” “Dance,” and “Way Cool Jr.” Warren blistered his way through four consecutive platinum albums and one EP with Ratt. Warren continues to play with Ratt and lends his chops to The Kings of Chaos when called. James has been laying down the low end for over 3 decades. His early days earned him millions of albums sold with the rock act White Lion. 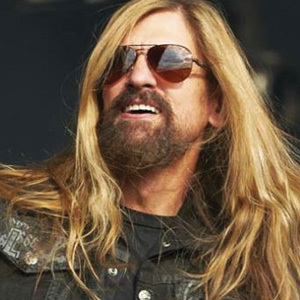 James went on to play bass for Ozzy Osborn where he met Zakk Wylde and eventually wound up as the bassist in Black Label Society. Shortly after Dave Mustaine recruited James for a number of years in Megadeth. James’s resume is nothing short of astounding; playing, recording and touring with the likes of John Fogerty, David Lee Roth, Slash, Ace Frehley, George Lynch and many others. Outside of music, he is known for being a contestant on the 21st season of the reality television series The Amazing Race. 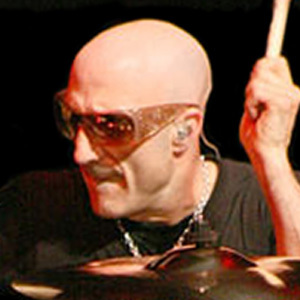 As one of the most in demand session drummers ever, Kenny is most recognized as the longtime drummer for John Mellencamp, He is also known for his extensive touring with acts like Willie Nelson, Melissa Etheridge, Bob Seger, John Fogerty, Richie Sambora, Chickenfoot and the Smashing Pumpkins. Rolling Stone Magazine labeled Kenny as one of the best drummers of all time. Kenny owns a studio in Los Angeles and when not hitting the skins he spends his time as an author and keynote speaker.